The ultimate guide to iMovie on iPad, how to use Family Sharing, become a multitasking master – and much more! 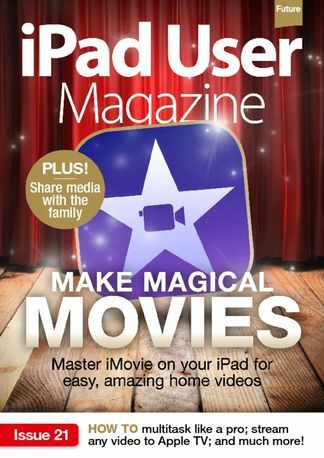 In this issue: the ultimate six-part guide to iMovie on iPad – make amazing movies the easy way! Plus, how to use Family Sharing, become a multitasking master, stream any video to your Apple TV, and see the latest accessory reviews! Be the first person to tell us what you think about Make Magical Movies and you'll save $5 on your next purchase! 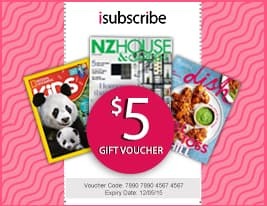 https://www.isubscribe.co.nz/make-magical-movies-digital-subscription.cfm 15815 Make Magical Movies https://www.isubscribe.co.nz/images/covers/nz/541/15815/square/MakeMagicalMovies191610745.jpg NZD InStock /Digital/Technology/Mac The ultimate guide to iMovie on iPad, how to use Family Sharing, become a multitasking master – and much more!